Haq's Musings: Who's India's Real Enemy? Pakistan? China? First came "boli nahi, goli" (Bullets, not talks). Then came "chappan inch ki chhaati" (56 inch chest, 44 actual according to Modi's tailor). It seems that India's Hindu Nationalist Prime Minister Narendra Modi's soaring rhetoric against Pakistan continues to soar ever higher. Modi's rising rhetoric is now being emulated by his lieutenants including Defense Minister Manohar Parrikar, Home Minister Rajnath Singh and most recently Information Minister Rajyavardhan Rathore. Rathore is reported to have claimed that Indian forces have struck deep inside Myanmar and this Indian action has sent a "message" to Pakistan. Indian military and Myanmar have both denied there was any cross-border attack into Myanmar. As I was reading the news of Hindu Nationalists' saber-rattling, I started to wonder who is India's real enemy? Is it Pakistan? Or China? Or is it India's domestic problems of poverty, hunger, illiteracy, lack of clear air and access to clean water and basic hygiene that result in tens of millions of deaths each year? Do the Indian leaders not know that their country is home to the world's largest population of poor, hungry and illiterates? Did recent heatwave deaths of over 2000 Indians not remind of India's extreme vulnerability to climate change? Is it not true that more than half of India lacks access to clean water and toilets? Are they not aware that 13 of the top 20 most polluted cities are in India and 3 in Pakistan? Do they not know that New Delhi is the dirtiest city in the world? Have they not seen data showing hopelessness is driving 30 to 40 Indian youths per 100,000 to suicide, among the highest rates in the world? 1. We gradually learned that Delhi’s true menace came from its air, water, food and flies. These perils sicken, disable and kill millions in India annually, making for one of the worst public health disasters in the world. Delhi, we discovered, is quietly suffering from a dire pediatric respiratory crisis, with a recent study showing that nearly half of the city’s 4.4 million schoolchildren have irreversible lung damage from the poisonous air. 3. For much of the year, the Yamuna River would have almost no flow through Delhi if not for raw sewage. Add in the packs of stray dogs, monkeys and cattle even in urban areas, and fresh excretions are nearly ubiquitous. Insects alight on these excretions and then on people or their food, sickening them. 4. Very high levels of air pollution hurt children the most. But it's not just children. Many adults suffer near-constant headaches, sore throats, coughs and fatigue. Arvind Kejriwal, Delhi’s chief minister, had to leave the city for 10 days in March to cure a chronic cough. 5. It’s not just the air that inflicts harm. At least 600 million Indians, half the total population, defecate outdoors, and most of the effluent, even from toilets, is dumped untreated into rivers and streams. Still, I never thought this would come home to my family quite as dramatically as it did. 6. Most piped water here is contaminated. Poor sanitation may be a crucial reason nearly half of India’s children are stunted. 7. So many of our friends have decided to leave that the American Embassy School — this city’s great expat institution — is facing a steep drop in admissions next fall. My pastor, who ministers to a largely expat parish here, told me he feared he would lose 60 percent of his congregants this summer. Hindu Nationalists led by Narendra Modi need to recognize that their biggest enemy is widespread deep domestic deprivation of their people. They need to join hands with Pakistan and other neighbors to focus their energies and resources to provide decent living standards to their people. They need to understand that there will be no winners in any war they launch against Pakistan. Instead, all of the people of South Asia region will be big losers. The sooner they realize these facts the better it is for the people of South Asia. Why Are Indians Less Happy Than Pakistanis? The sabbar rattling is to divert the attention from real issues. ZAB was correct "it is the hatred of Pakistan that has kept India united". The Army, which has been commended by all for its surgical strikes against insurgents on the Myanmar border, was left red-faced when it came to light that two photographs doing the rounds on the media and social media platforms were actually from operations in 2009 and not of the current one. As soon the error was spotted, the Defence Ministry issued a statement that it did not release any such photographs. “A Clarification: MoD has not issued any photo relating to Indian Army action along Indo-Myanmar border in the North East, so far,” Defence Ministry spokesperson Sitanshu Kar tweeted on Wednesday. Later, it was found that the Army had cleared the photographs. An Army officer clarified on Thursday that the 2009 photographs were approved as a “representative picture” and “it did not mean it was an operational picture”. - Apr. 40% of generic drugs sold in USA are made in India. - India has highest FDA approved pharma plants outside USA. I will wait for the day when Pakistan drugs make it to USA. General Musharraf sharing the untold story about 2002 India-Pakistan 10-month long standoff. Musharraf conveyed the message to Indians that if they violate the borders there will be swift retaliation. After he got the intelligence reports that Indian Air Force was about to launch strikes in Azad Kashmir, he not only made it clear to Indians but he also ordered Air Martial Mushaf to select the targets inside India and take those out just after India's adventurism and continue the next day. "Statistics no matter how new are still from the past" is a well known dogma that thinkers are careful not to overly rely on. Then come those who politicize or continually publicize statistics to force their contrived opinion. IMF, World Bank or the UN agencies publish data to help address policy failures and successes and hopefully deal with stubborn problems that many countries face. Mr Haq, your bias and contempt is not only obvious, it bleeds unstoppably and repeatedly from the many blogs you have written. If I were you, I would focus and think about which country is more conducive, in the next decade or two, to address the stubborn problems. My wild guess is India. Please note that, for each and every stat that you mention there is equal if not more stats that shows Pakistan lagging. Samir: " Please note that, for each and every stat that you mention there is equal if not more stats that shows Pakistan lagging. " Assuming for a moment that you are correct, does it justify Modi's and his cronies' war against Pakistan? How will war help improve the situation? Would it help people of South Asia who by all measures are among the most deprived in the world? Mani Shankar Aiyar is member of Indian National Congress. The same party which broke Pakistan into two. As such his statement(s) are purely political and have no bearing in reality. Do you know even now China is #1 in visa issues in western countries. It is frightening that so many Hindus support Modi purely because they want Hindu Raj. No mention is made of rocketing food prices, neither that of real estate which will ensure that a huge chunk of urban dwellers will forever continue to live in squalid slums or on the footpaths without basic sanitation. Hindu Raj and its make believe world of flying chariots and bejewelled glory is the mantra today. In the meanwhile, so many are unsure whether they will get water to wash, bathe or even drink. Or if they will have electricity. Go shopping and instead of being given change you get a "chocolate" - whatever that turns out to be. 80% of #India’s surface water may be polluted, report by international body says http://timesofindia.indiatimes.com/home/environment/pollution/80-of-Indias-surface-water-may-be-polluted-report-by-international-body-says/articleshow/47848532.cms … via @timesofindia Even as India is making headlines with its rising air pollution levels, the water in the country may not be any better. An alarming 80% of India's surface water is polluted, a latest assessment by WaterAid, an international organization working for water sanitation and hygiene, shows. The report, based on latest data from the ministry of urban development (2013), census 2011 and Central Pollution Control Board, estimates that 75-80% of water pollution by volume is from domestic sewerage, while untreated sewerage flowing into water bodies including rivers have almost doubled in recent years. This in turn is leading to increasing burden of vector borne diseases, cholera, dysentery, jaundice and diarrhea etc. Water pollution is found to be a major cause for poor nutritional standards and development in children also. Between 1991 and 2008, the latest period for which data is available, flow of untreated sewerage has doubled from around 12,000 million litres per day to 24,000 million litres per day in Class I and II towns. The database defines Class I towns as those with a population of more than 1 lakh, whereas towns with population ranging between 50,000 to 1 lakh are classified as Class II. The report, titled 'Urban WASH: An Assessment on Faecal Sludge Management (FSM) Policies and Programmes at the National and State Level', is likely to be released next week. According to the report, inadequate sanitation facilities, poor septage management and a near absence of sanitation and waste water policy framework are primary reasons responsible for the groundwater and surface water pollution in the country. Pakistan will set up a carbon market with technical assistance from China to cut greenhouse gas emissions and lure foreign investment. The ‘Carbon Neutral Pakistan’ project will receive 7.752 million rupees (US$76,205) in state funding out of its total cost of 313.96 million rupees (US$3.85m) in next year’s Public Sector Development Programme. Pakistan’s parliament gave final approval to the project in next year’s budget on June 23 along with 39.752 million rupees ($390,779) in the programme to combat climate change. 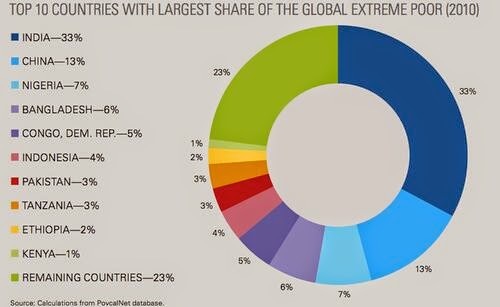 The developing country is vulnerable floods, droughts and extreme weather and needs up to US$15 billion a year to climate-proof its economy and cut emissions. Pakistan pumped out nearly 150m tonnes of CO2 in 2008, which are rising at 6% a year, according to its climate change ministry. Arif Ahmed Khan, Secretary at the Ministry of Climate Change, told RTCC in an exclusive interview that local carbon markets would be set up with technical assistance from China for internal adjustment of carbon emissions and carbon credits. “The carbon markets would help industrialists and other sectors to sell and buy carbon credits locally besides initiating a competition for greener technology,” he said. The secretary said the project is being designed to meet future requirements that international community may impose on developing countries if an international deal on climate change is reached in COP-21, Paris summit in December of this year. “Pakistan can also lure foreign investment in emission cuts in the coming years if we succeed in setting up the carbon markets to facilitate industrialists and people from other sectors,” he said. The United Nations carbon market has spurred $356 billion of investment in emission cuts, encouraging climate-protection policies in at least 10 nations including China, India and Brazil, according to the Washington-based policy institute, Center for American Progress. The secretary admitted creating a market was complicated, and said the ministry is working to simplify it for industrialists and investors with help of relevant experts and specialists. “We will also seek help from China to determine a viable carbon pricing formula,” he said. ISLAMABAD: Pakistan is one of the 95 countries that have met the Millennium Development Goal (MDG) target for sanitation aimed at halving the proportion of the population without sustainable access to basic sanitation, says a recently launched global report by the World Health Organisation (WHO) and the United Nations Children’s Fund (UNICEF) Joint Monitoring Programme (JMP). According to the report, 64 per cent of the population in Pakistan now has access to sanitation compared to 24 per cent in 1990. A feat achieved by only 95 countries so far. Pakistan is also placed among just 77 countries which have met both the drinking water and the sanitation MDG target. The report says that the number of people defecating in the open has been reduced from 46 to 25 million during the last decade. However, closing the gap that exists due to inequities between urban and rural residents in terms of improved access to water and sanitation services, remains a challenge. While providing a comprehensive assessment of progress made since 1990, the report also highlights what more needs to be done to help the 2.4 billion people globally who still lack access to improved sanitation and at the same time urgently address the large disparities that exist in this context. Despite significant progress, South Asia is still the region where the largest number of people, nearly 953 million, do not have access to improved sanitation. It is noteworthy that earlier this year, the second Pakistan Conference on Sanitation (PACOSAN) was hosted in Islamabad where a large gathering of eminent specialists deliberated on accelerating Pakistan’s move towards achieving the sanitation MDG. Addressing the inaugural session of the conference, the President of Pakistan, Mr. Mamnoon Hussain highlighted that despite strong emphasis on cleanliness in Islam, lack of sanitation facilities is one of the major causes of high child mortality rate in Pakistan. He urged all stakeholders to join hands for universal coverage of sanitation and hygiene in the country. In an uncanny incidence earlier this year, the US embassy in India bought 1,800 air purifiers in New Delhi. It was later deciphered as a protective measure for the US president Barack Obama from Delhi's toxic air. The air we have been breathing away all our life was deemed so detrimental for the president that the US authorities insisted on curtailing Obama's outdoor activities, according to a newspaper report. In the past, when fuel emission norms were a far flung reality and vehicle sector was booming, the state of Delhi air had started showing visible signs of impact. So much so that Centre for Science and Environment (CSE) issued an advertisement about 16 years back: "Roll down the window of your bullet-proof car, Mr Prime Minister. The security threat is not the gun, it is the air of Delhi." The environment lobbies vociferously demanded a roadmap for pollution control. Even as some of the demands were met; such as the thrust on clean fuel, use of CNG, Vehicular emission standards etc, the situation steadily depreciated. So much so that, in November, December and January of 2014-15, the quality of air in Delhi was recorded to be severely polluted for more than 65 per cent of the days. The Delhi Pollution Control Committee data also showed consistently high level of PM2.5 (particulate matter), one of the finest pollutants, capable of making inroads into human lung and blood tissue and increase the risk of heart and lung diseases. While the WHO (World Health Organization) has set a limit of 25 microgram per meter cube, in the past three years the PM2.5 level in the metropolis has been roughly 130 to 170 microgram per cubic meter; 5-7 times more than the permissible limit. 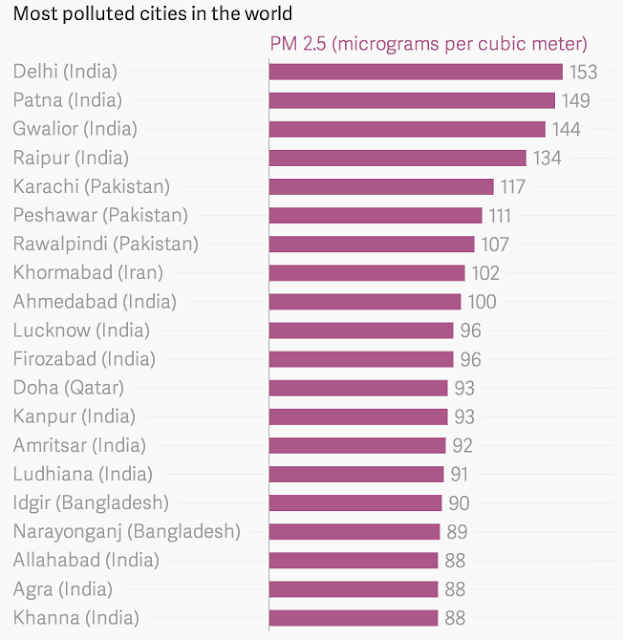 The issue got fresh impetus when Delhi surpassed Beijing to become world’s most polluted city. Soon thereafter, National Green Tribunal (NGT), took cognizance of the matter and held vehicles as the main movement of aviation contamination, thus banning all diesel vehicles over ten years old from plying on Delhi roads. In an earlier judgment last year, NGT had similarly banned petrol vehicles over 15 years old in Delhi. Yet, this time around, the verdict met overwhelming response. While the Delhi government was quick to applaud the decision and promised swift action, the central government appealed against the ban. Citing an IIT Delhi study, counsel argued that the old vehicles contributes a negligible amount of the air pollution. Various stakeholders mooted their own apprehension of the alarming level of pollutants in the urban center. Speaking to CNBC, Sunita Narain from Centre for Science and Environment (CSE) alleged that the government is hands in gloves with the transport sector. Naming the big three commercial vehicle manufacturers, Narain held the government responsible for steering the interest of automobile manufacturers, disregarding public health emergency and ignoring the health risks from direct exposure to vehicular fume.